The Division of Gynecologic Oncology is staffed by healthcare providers both experienced and passionate in the field of Gynecologic Oncology. Led by Dr. Setsuko Chambers, Dr. Kenneth Hatch, Dr. Janiel Cragun, and Dr. Clair McClung join her to ensure that this division works every day to ensure that our patients are receiving the best healthcare services possible. Whether it be through proven drug treatment plans or groundbreaking clinical trials, our physicians do everything in their power to help their patients. We specialize in ovarian, uterine, and cervical cancer clinical trials, focusing on those trials that we believe have the best chance of changing our patient’s lives for the better. We include treatment trials, as well as imaging and biomarker trials. We are interested in opening supportive care trials in the future. We are supported by terrific clinical and research staff, who are equally passionate about their work. For more information regarding our active and pending clinical trials, please contact Jordan Pasch at 520-694-0859 or Nina Santa Cruz at 520-694-9071. Study Title: Is acupuncture a viable alternative to medication in overactive bladder for an elderly female population? Summary: Research looking at the effects of acupuncture on other women’s health issues, such as dysmenorrhea or menopausal symptoms, has occasionally included standard therapy as the control, but this has not been done in the slim body of OAB research. This project will directly compare acupuncture with medical therapy using a design that is similar to trials in which a new medication is compared to the standard therapy. In this way the outcomes will be more easily comparable to the current literature. A series of acupuncture treatments is non-inferior compared to standard of care medication approach for overactive bladder (OAB) with fewer systemic side effects. This pilot study is utilizing a one-way crossover design allowing half of the patients to receive both medication and acupuncture and the other half acupuncture only, so that all patients contribute data to the duration of any acupuncture effects. By using frequent measures we are estimating the length of time for wash out of the effects of acupuncture, the percent of patient attrition, and also inter- and intra-group variability. Study Title: Effects of uncontrolled diabetes on neonatal interventricular septal hypertrophy. Study Title: Blood protein profiles in women with cholestatis, a comparative study. Summary: This study looks at two wound dressings after a Cesarean section (C-section). We’ll compare the standard wound covering to the PICO negative pressure wound vacuum. This study is randomized, which means the patient and physicians do not pick which wound covering is applied; instead patients are randomly assigned to either standard dressing or wound vacuum after the C-section wound is closed. Follow up involves a 1 week post-operative phone call as well as the standard 2 and 6 week post-operative follow up in clinic. A maternal condition which increases the risk of wound complication: Obesity (BMI >30), diabetes, HIV/AIDS, chorioamnionitis, rheumatologic disease, history of wound complication, anticoagulant therapy. Able to read and speak English or Spanish. Summary: This biobanking study will build a collection of physical samples and medical information that can be used to study many different medical conditions in the future. Patient participation in the study will vary, but in general we will ask to collect placental and umbilical samples after delivery. Medical information will also be collected from medical records to help researchers understand how medical conditions are impacted by things like genetics, proteins, metabolic differences, ect. 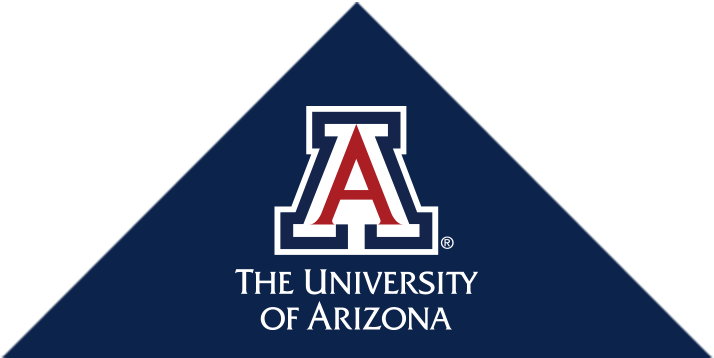 Study Title: The University of Arizona Biorepository and Arizona Biospecimen and Laboratory Exchange (ABLE) Program- Pregnant Women and their Children. Summary: The goal of this project is to contribute to the centralized Biobanking Facility at the University of Arizona. A biobank is a collection of samples (blood) and health information that can be used by multiple researchers for future studies. Future studies may be done to understand the biology and treatment of human diseases. Summary: This study will help us understand how mom’s emotional state impacts baby’s heart rate in the womb as well as uterine activity. Patients will have their heart rate, baby’s heart rate, and uterine activity monitored while watching a funny movie and a scary movie. Patients can bring 1 guest who is over the age of 18 and will be provided popcorn and soda. Summary: This study hopes to show that the Monica Novii Wireless Patch System is equivalent to the standard of care fetal monitoring system. We will specifically look at women admitted for labor monitoring who are between 32-37 weeks pregnant. The data produced from this study will be used by the study sponsor and submitted to the FDA. Summary: This study evaluates high dose vs low dose of oxytocin for induction of labor. We will look at the impact of high and low dose oxytocin on obese compared to lean women. This study is double blinded which means that neither the patient nor the doctors know if patients are receiving a high or low dose. All medical decisions about patients’ induction management, other than oxytocin dose, will be made based on medical guidelines in the same manner as if they were not participating in the study. Summary: Current monitoring of fetal cardiac function is limited to heart rate (how fast or slow the heart is beating. Fetal heart rate does not provide information about how much blood is pumped per heartbeat. This study will use an experimental software called 2D Speckle Tracking to measure how much the baby’s heart is expanding and contracting per heartbeat. Patients will be asked to undergo a research specific ultrasound either in clinic or when admitted to labor and delivery. We hope that 2D Speckle Tracking can be useful to doctors in the future to better understand fetal heart function in the womb.